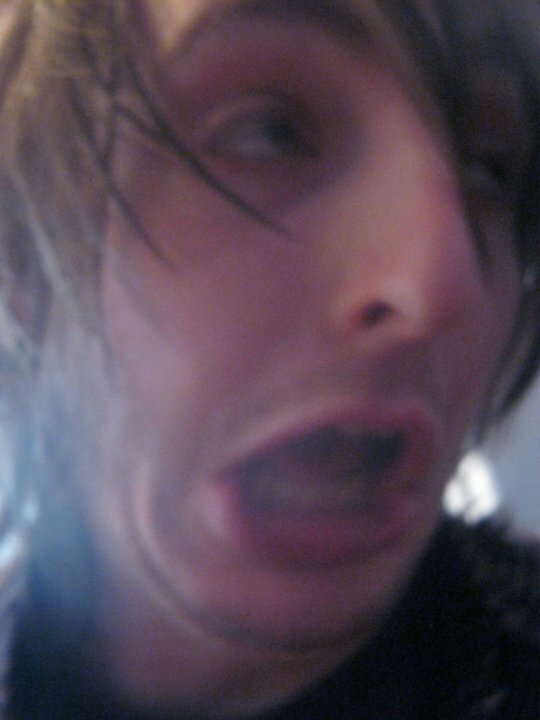 Doooo wopper! 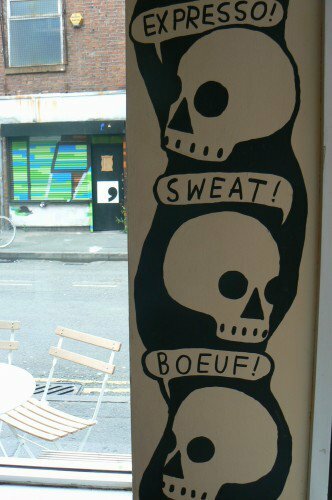 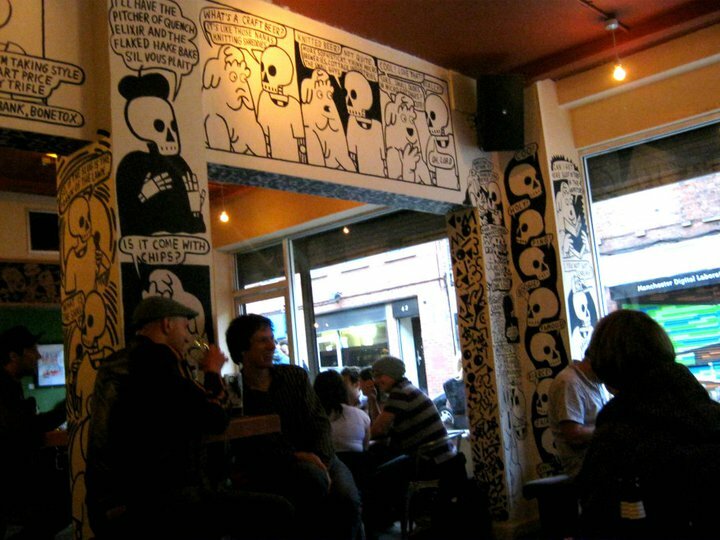 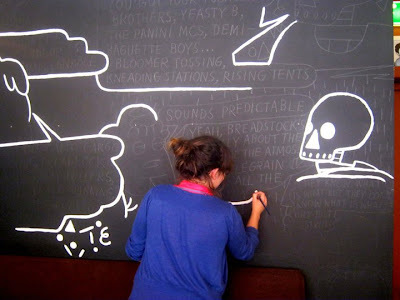 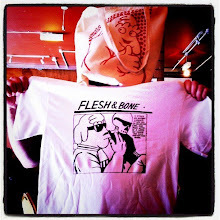 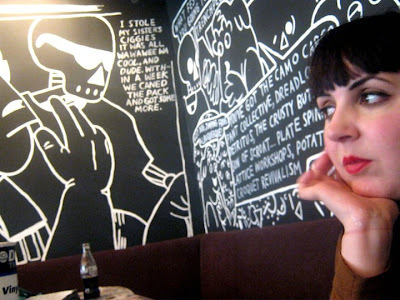 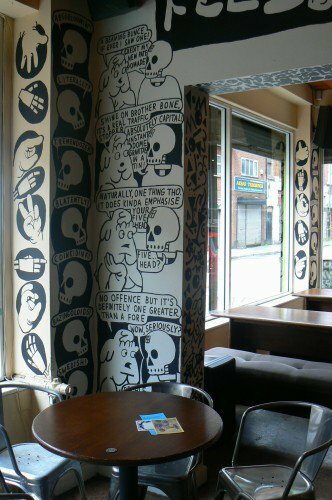 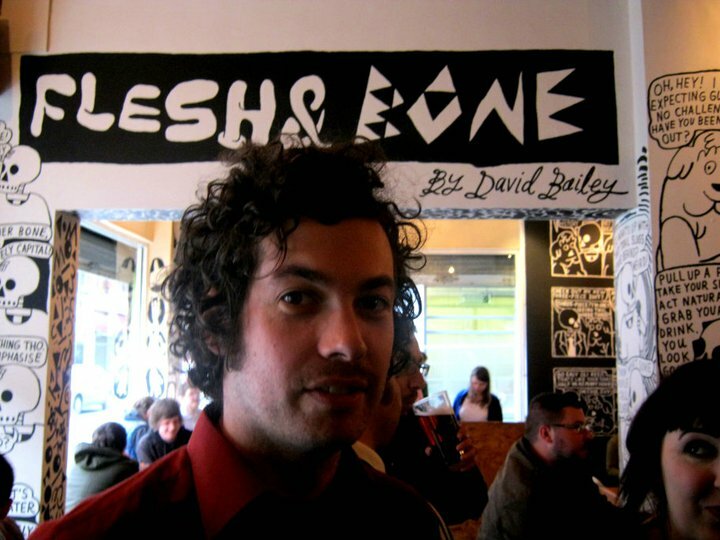 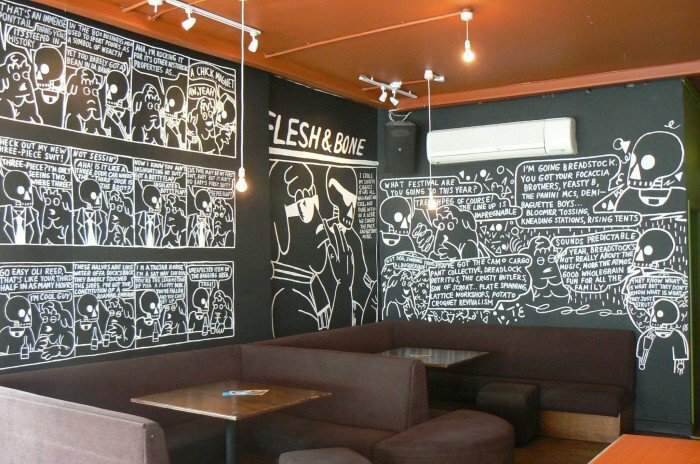 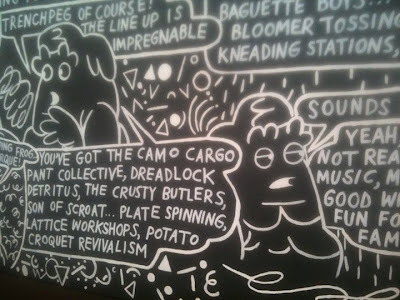 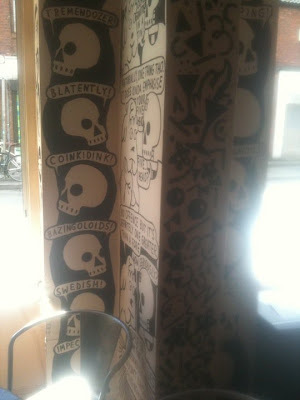 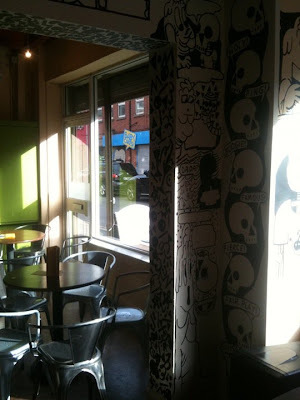 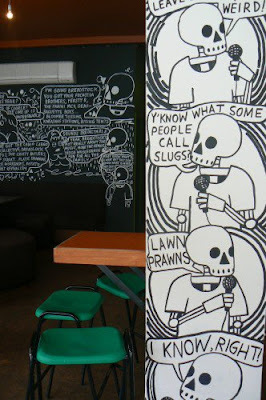 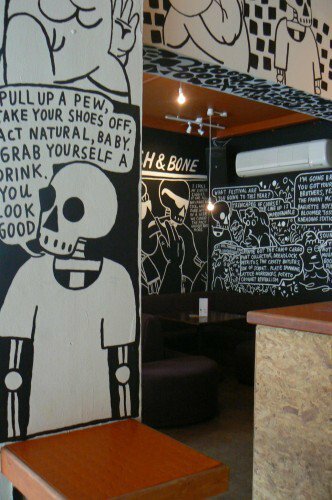 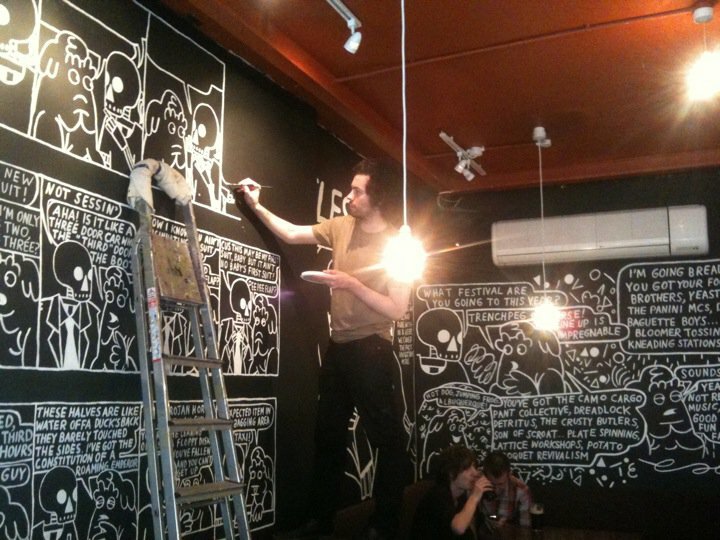 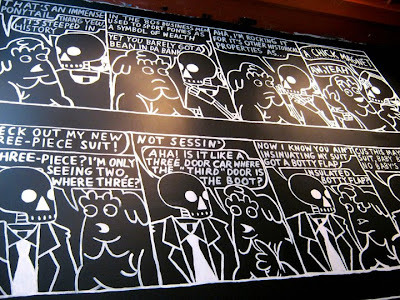 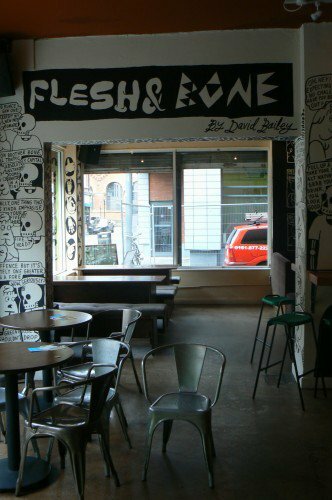 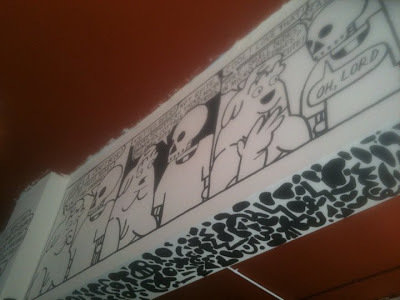 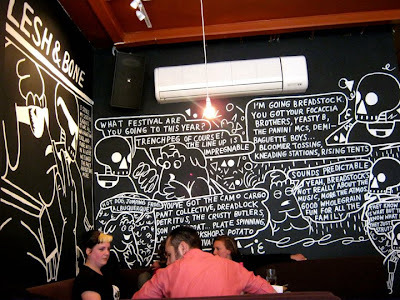 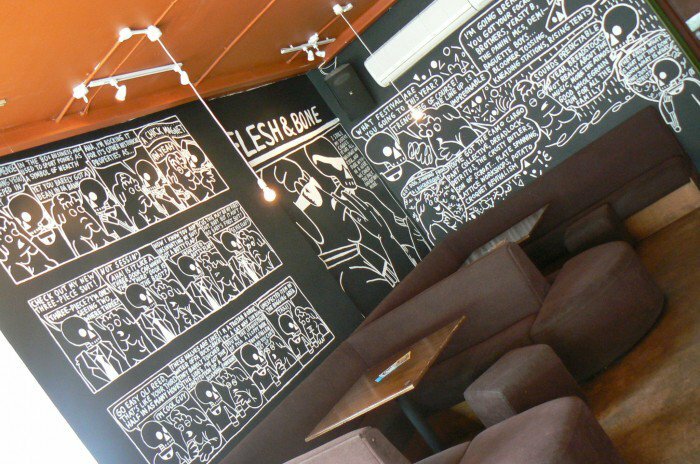 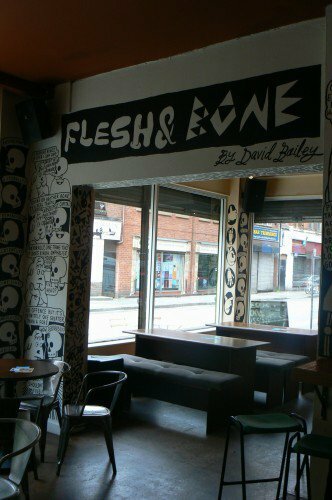 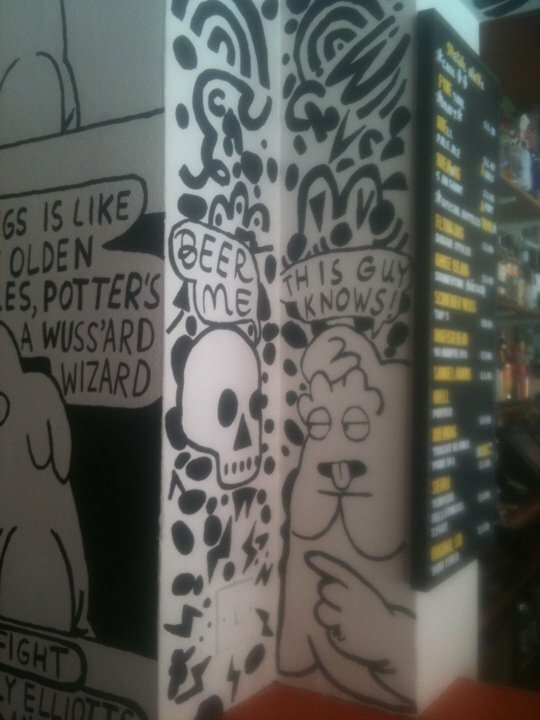 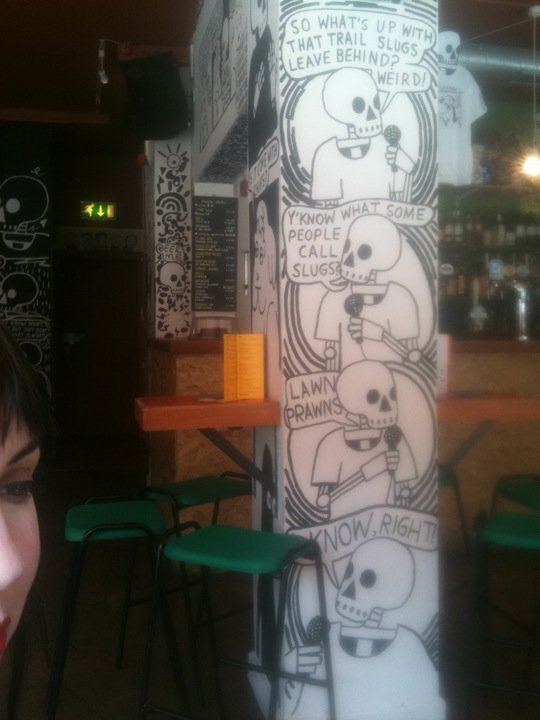 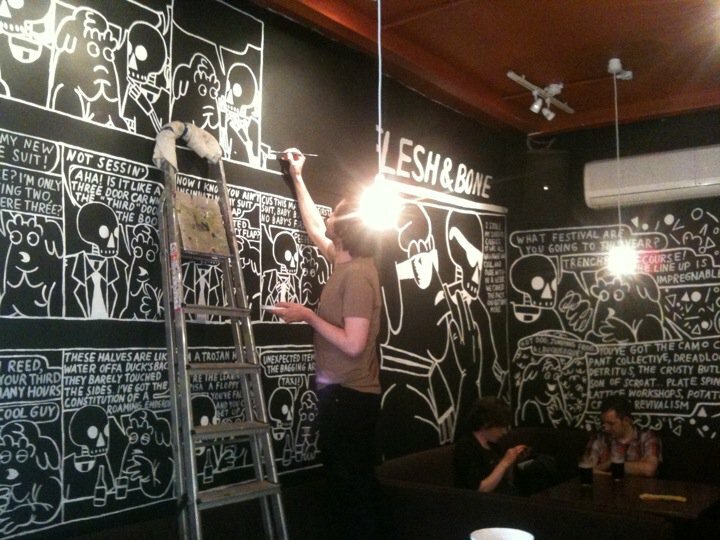 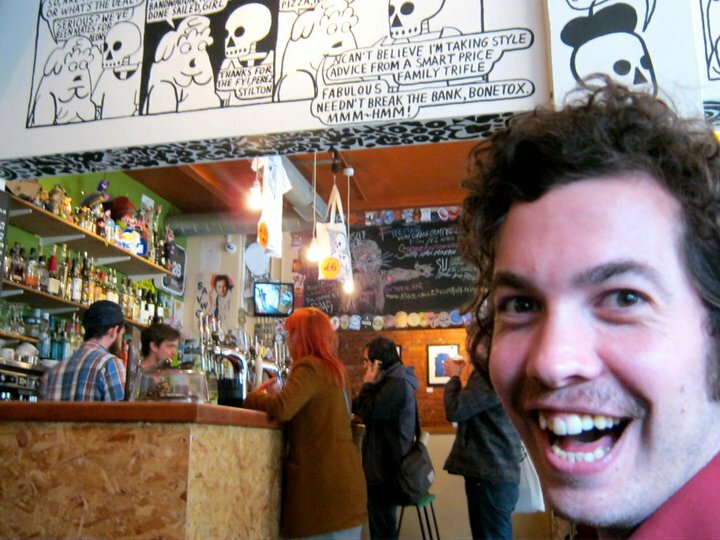 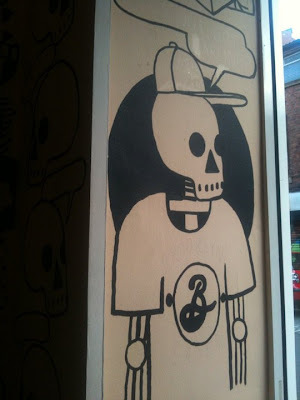 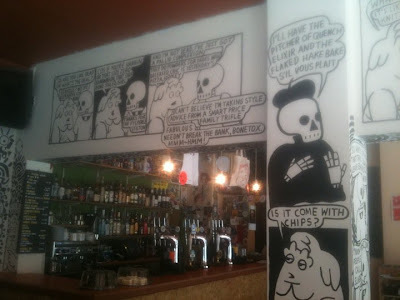 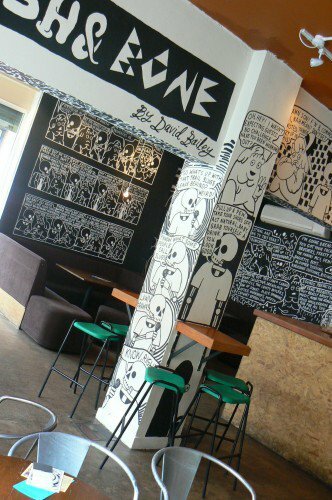 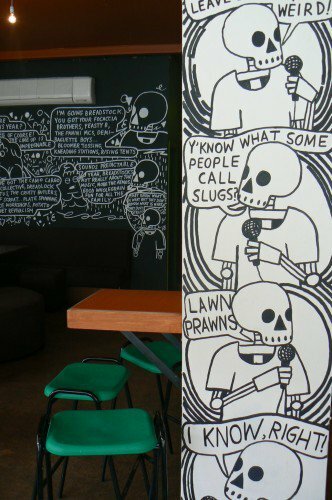 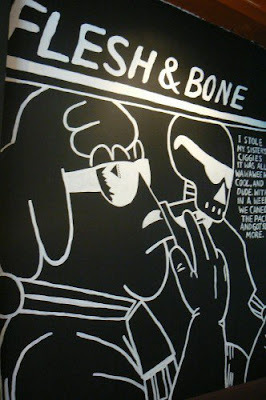 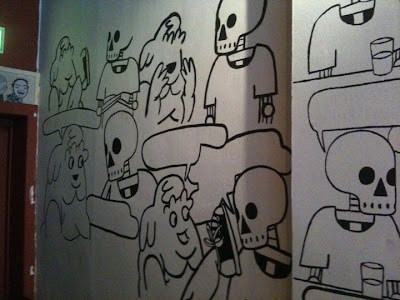 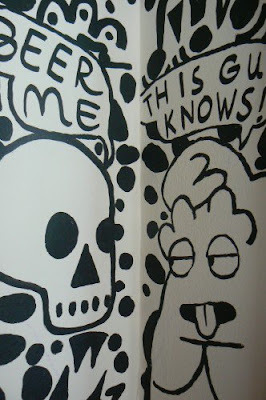 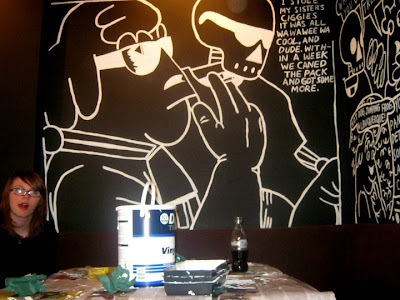 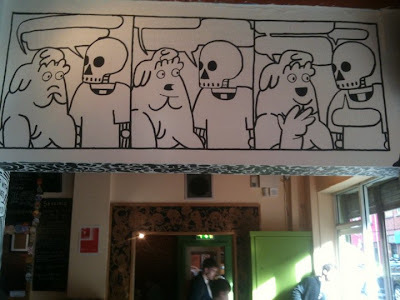 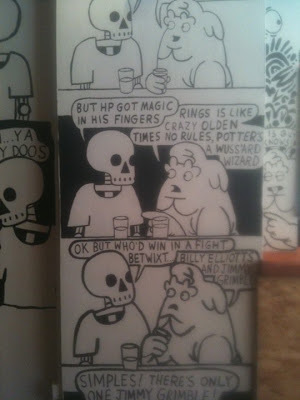 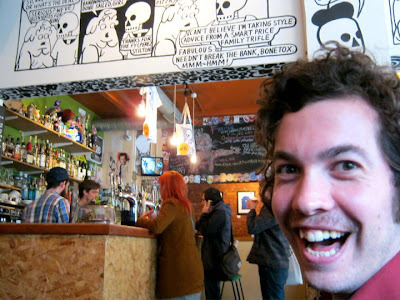 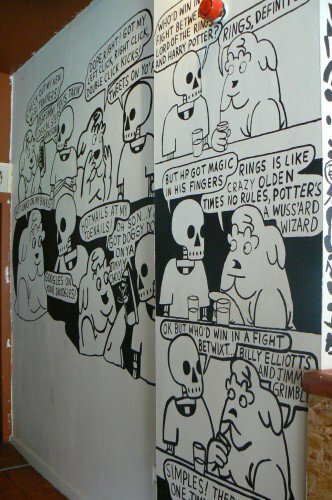 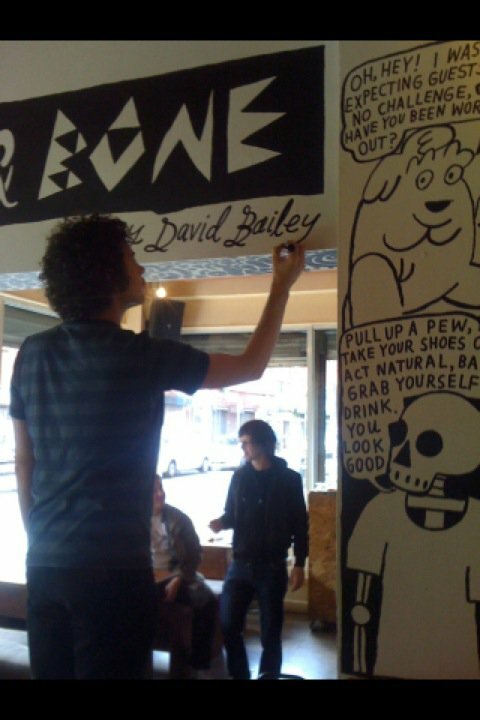 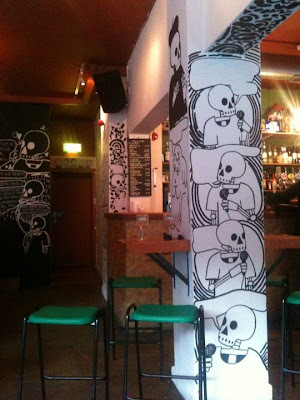 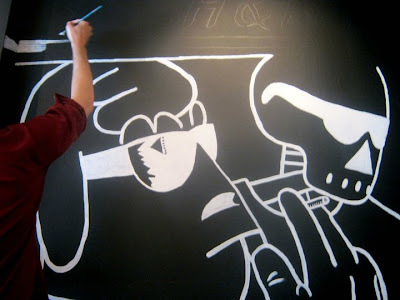 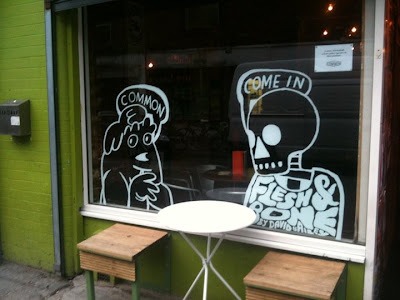 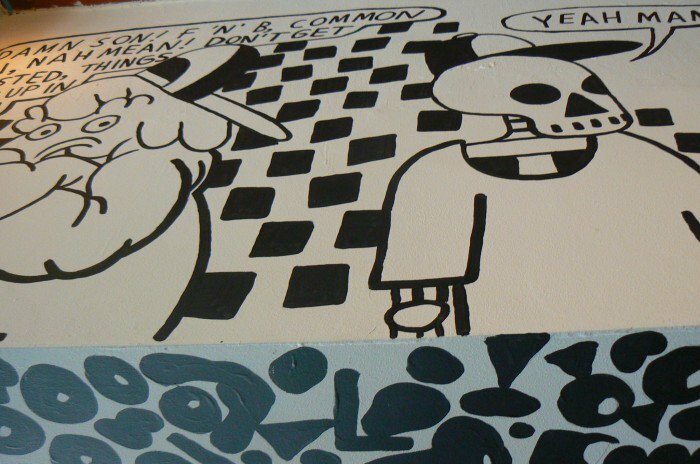 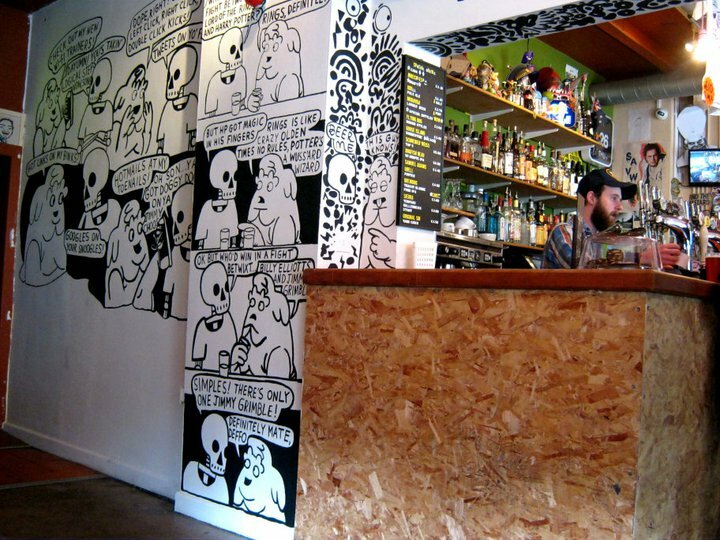 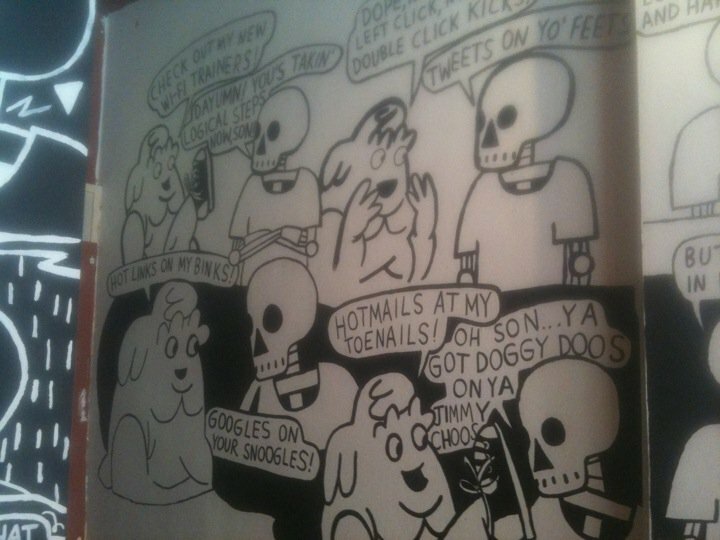 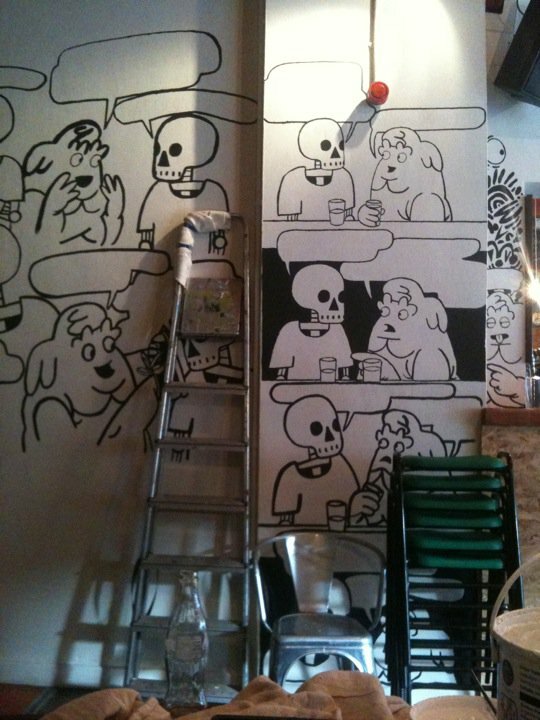 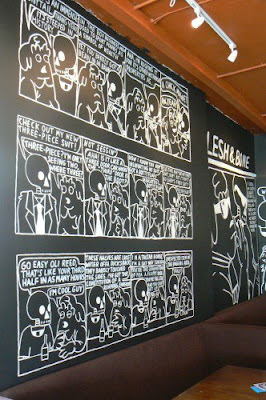 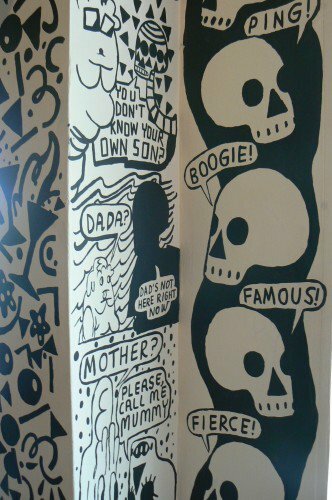 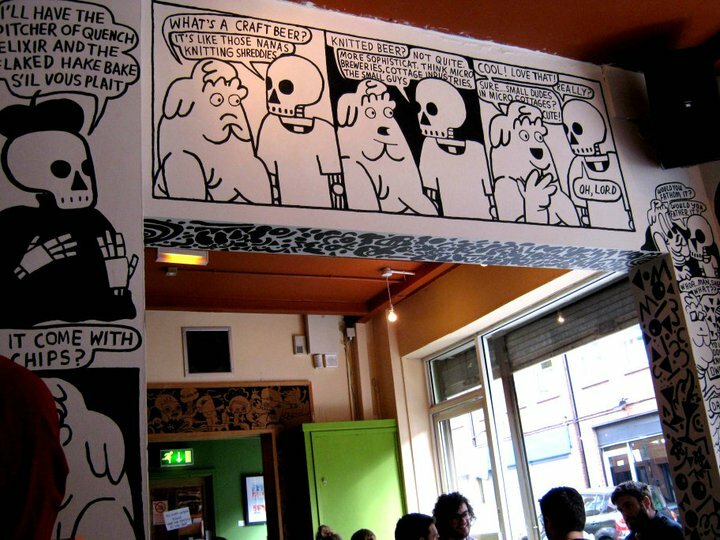 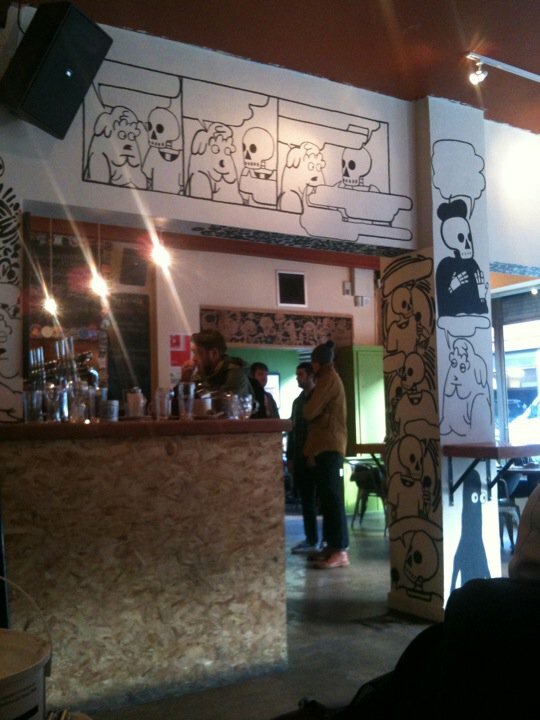 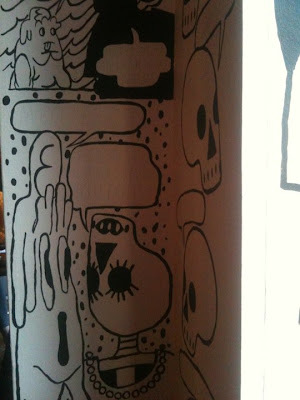 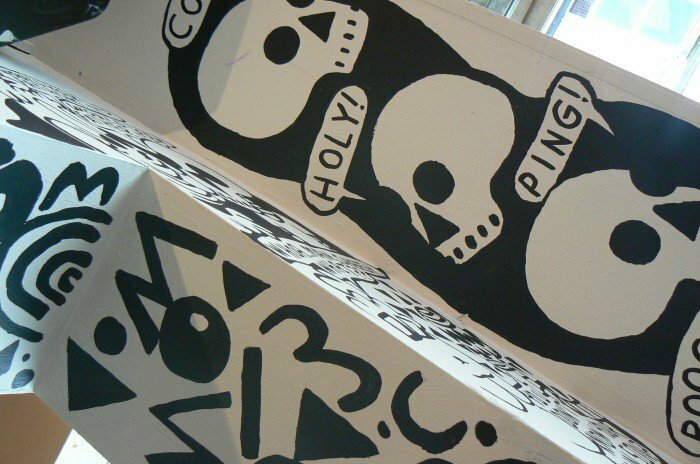 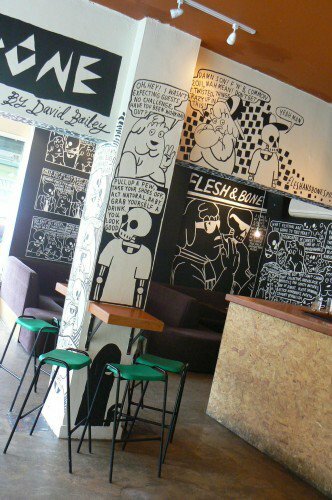 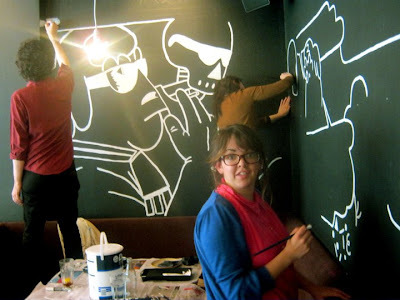 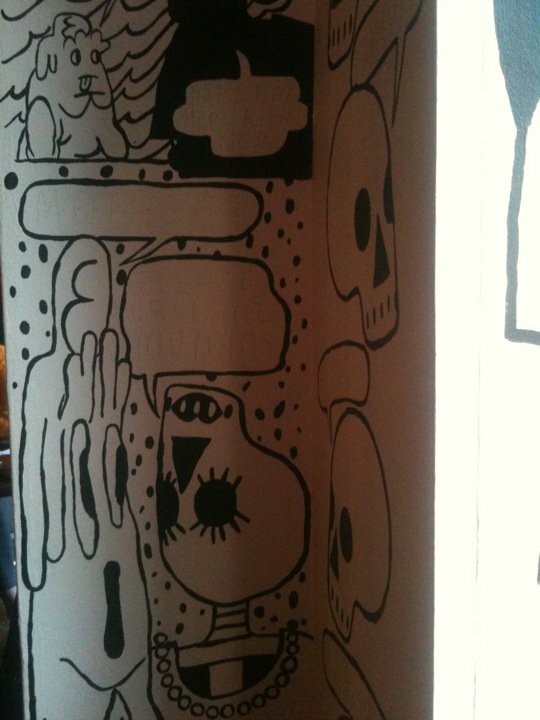 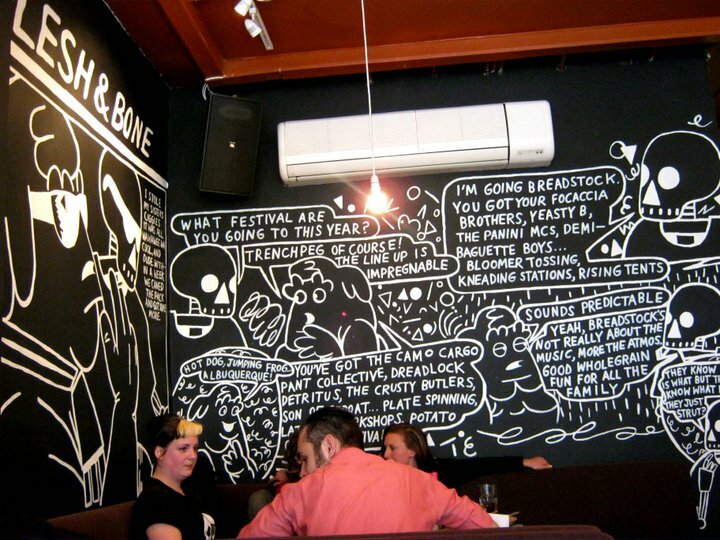 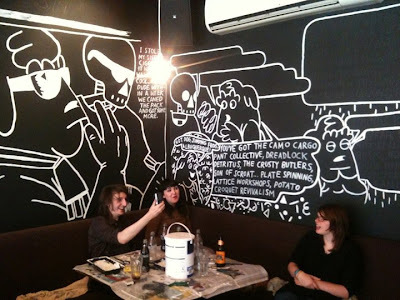 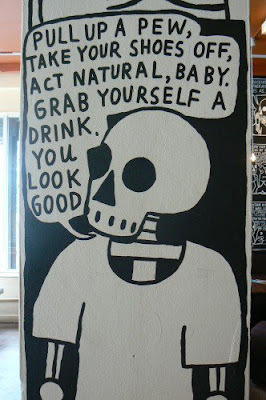 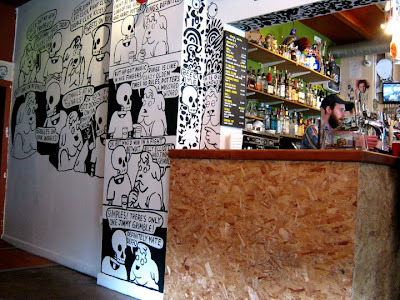 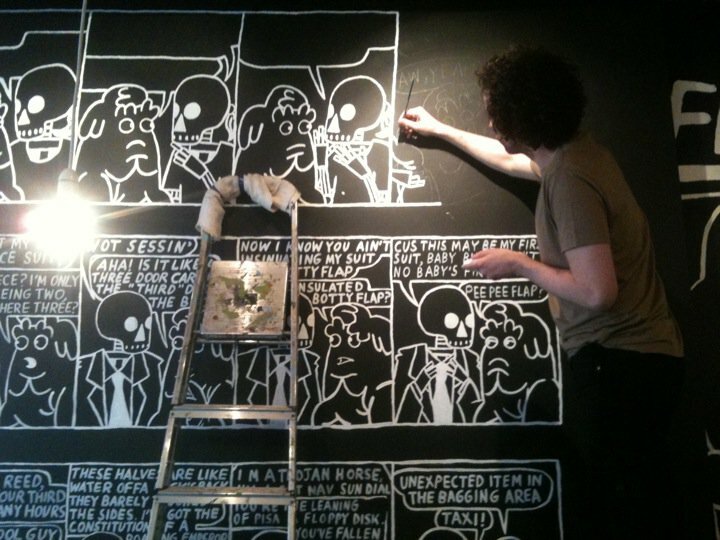 Recently work was completed at Common bar in Manchester at turning their walls into a Flesh & Bone-o-rama. 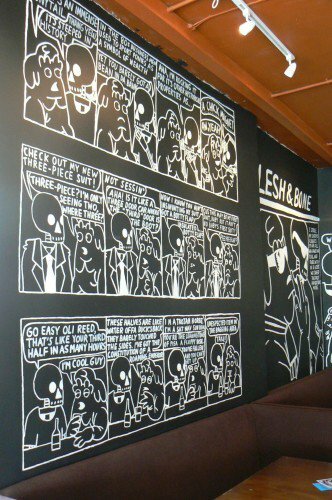 It was a massive amount of fun (at least a gallon), it took ten days of pure grit and weeks prior of careful preparation, punchline punchbagging and a whole lot more besides. 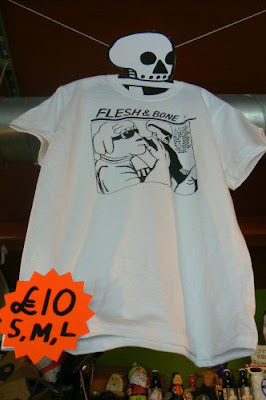 Screenprints were made kindly by my Dad, four different screeny-p's on paper and then a t-shirt and totey b. 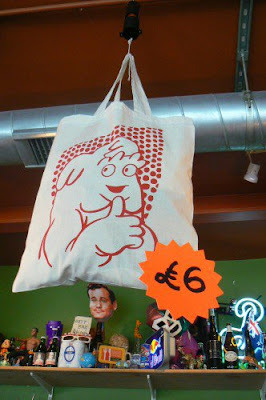 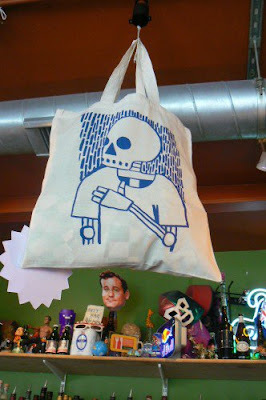 These are all for sale at Common as of now. 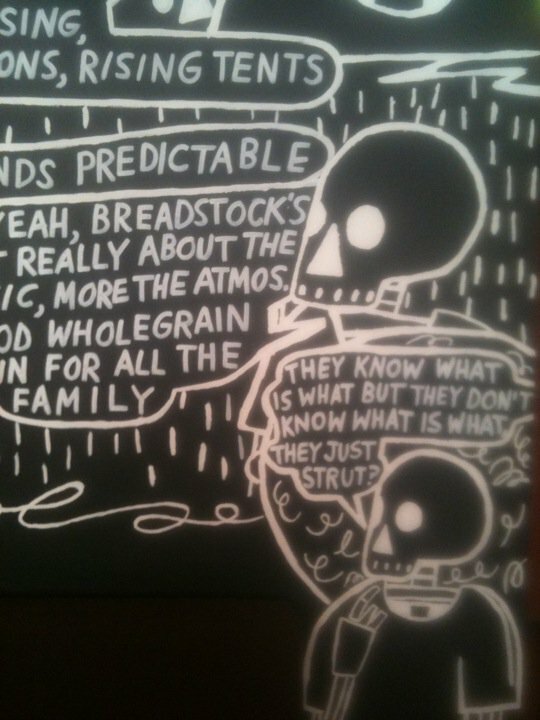 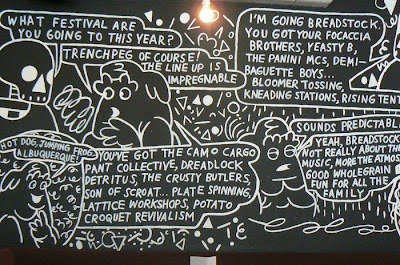 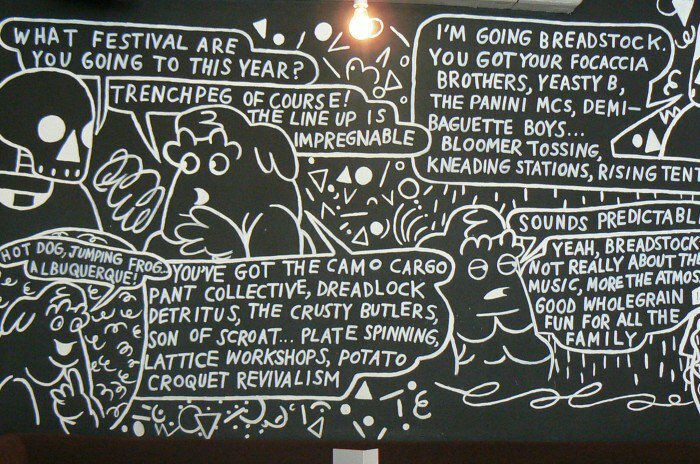 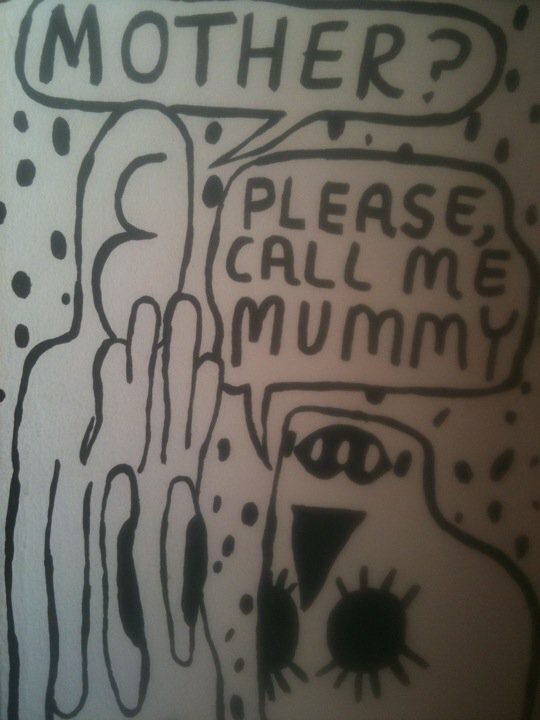 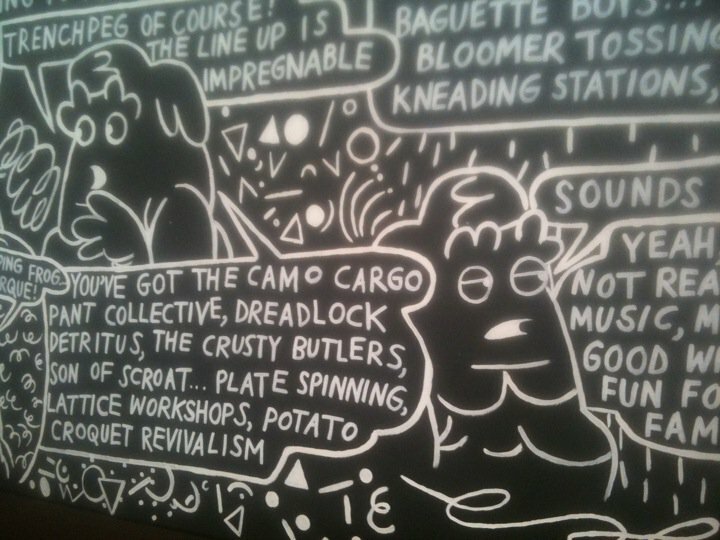 The exhibition runs til the end of September so if you're in Manchester get down. 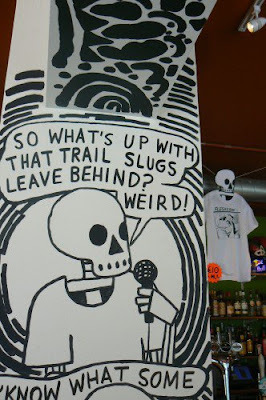 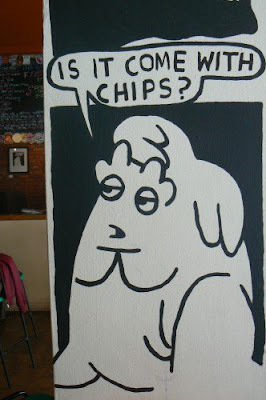 You should go there anyway, the beer is good and the fries are shoestring. 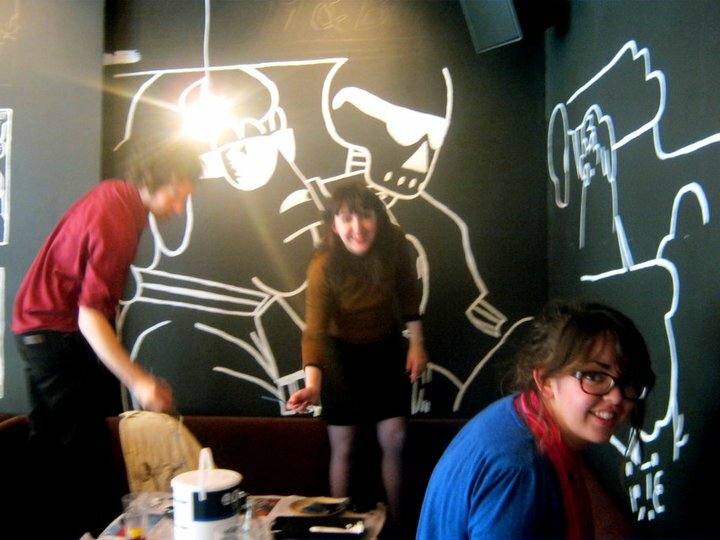 Thanks to my glamorous assistants for helping with the painting of the walls, I couldn't have done it without you all that's for sure. Not all these photogs are mine, I bagged a few from Common and Rowan. 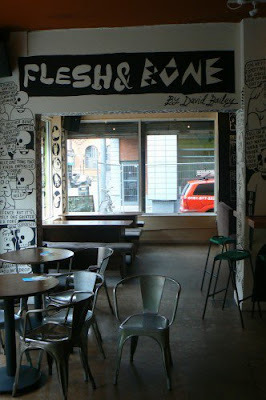 More strip specific photos to follow at some point. 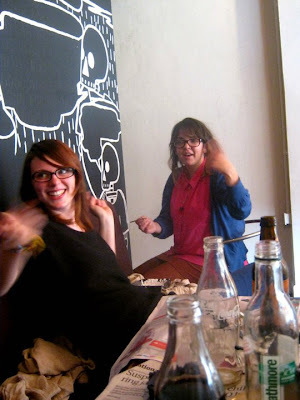 Meanwhile, let's hear it for the assistants! double sided tote bag rotating on a mirror ball motor! 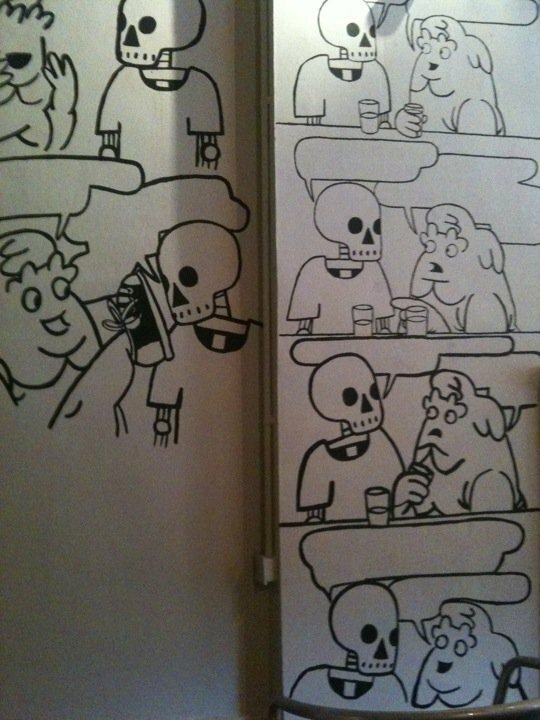 The only recycled joke I swear! Vinyl stickering on the windows, yebber jebber! 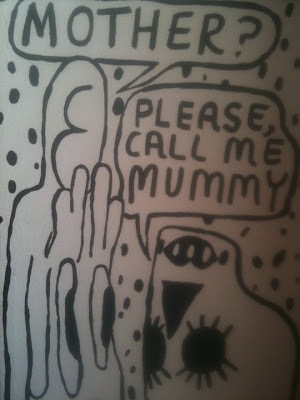 Currently listening to : Crazy Frog Bros "Crazy Frog"